Useful information and resources for the press, bloggers, or anyone else writing about Get Running. Can’t find what you need? Get in touch! Get Running is a beginner’s running coach that talks. It’s available for iOS and Android. Based on Josh Clark’s popular “Couch to 5K” plan, Get Running guides a new runner through a nine-week training plan. It’s designed to be simple and painless. Run three times a week, follow the voice instructions, and you’ll be able to run 5K (about 3 miles) by the end of the plan. 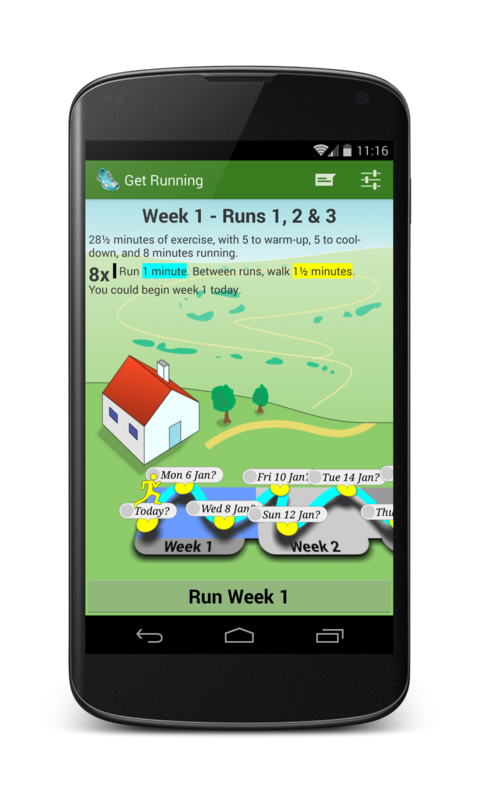 The iPhone version of Get Running has sold around 300,000 copies since it was released in 2009, topping the App Store’s “Health & Fitness” chart in several countries and collecting thousands of great reviews. Splendid Things released Get Running for Android in July 2012, using the same high-quality audio samples as the original app, but rewriting everything else for Android, from the ground up. Splendid Things is a small British company, founded in 2009 specifically to develop excellent mobile applications. Splendid Things often works in partnership with individuals and other small companies to create its apps. For press enquiries, mail press-enquiries@getrunningapp.com. Bear in mind that Splendid Things is based in the United Kingdom, so we’re generally most responsive during GMT/BST working hours. Get Running is based on Josh Clark’s “Couch to 5K” nine-week training plan, with three runs per week, for a total of 27 training runs overall. The app builds up your fitness with a combination of running and walking, gradually building up to 30 minutes of uninterrupted running in the ninth week. 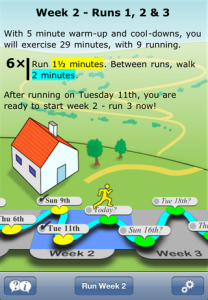 The app’s “Progress Path” shows your progress in an attractive sliding view, with past and future running dates to help plan your running. Get Running’s human voice is built from more than 200 high-quality, studio-recorded audio samples. Get Running plays nicely with other apps — for example, you can use your preferred music player alongside Get Running. 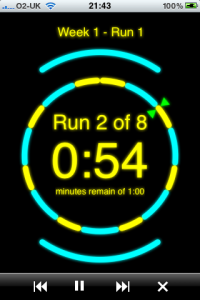 Get Running for iOS is available for iPhone and iPod Touch devices running iOS 3.1.3 or later. Built-in support for Facebook and Twitter progress updates. 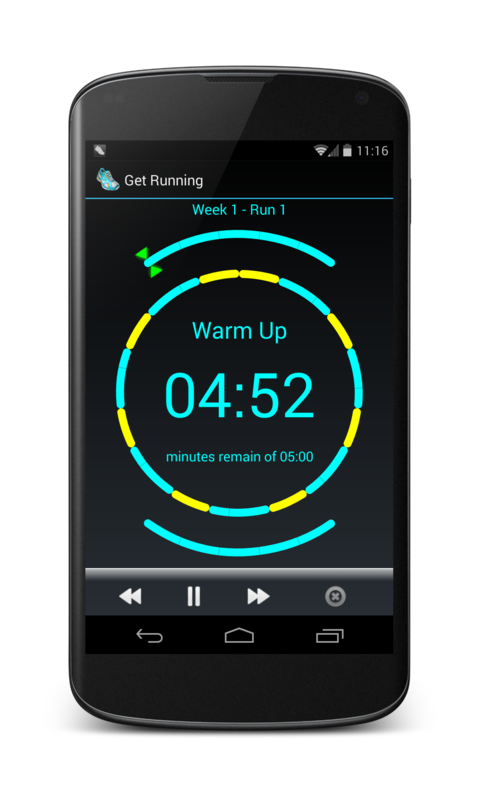 Get Running for Android is available for Android devices running Android 2.2 “Froyo” or later. Built-in support for Facebook progress updates. Works with most third-party social media apps; Twitter clients, etc. Get Running installs to the SD card if required. Either way, just drop us a line and we’ll get back to you. We practise ethical marketing. 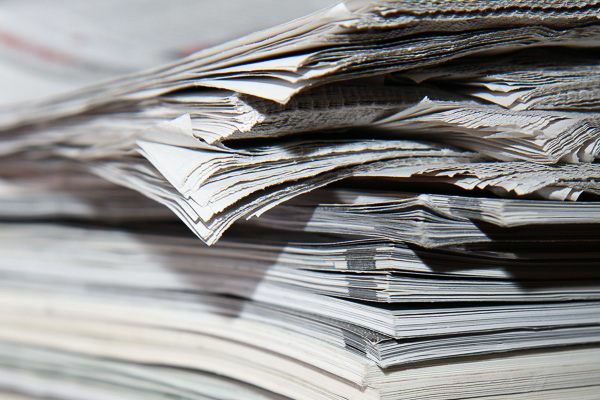 We believe in full disclosure, and we don’t place any restrictions on reviewers or reviews. Be honest, we can take it! These Get Running icons are available for press use. The “stroked” version may work better against a light background. These Get Running screenshots are available for press use. Click for full-size images. We tweet as @getrunningapp on Twitter. 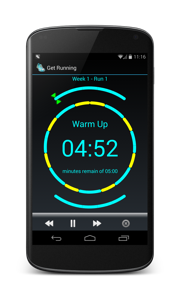 Get Running was created by Benjohn Barnes, founder of Splendid Things. Benjohn began playing with computers when he was ten. His failure to find the off switch has been misinterpreted by friends and employers as “a career”. His play session was jarringly interrupted in 2007 with the discovered he no longer had a job. Realising no one else had a job either, and his two sons under three were too young to go out busking, he thought building Get Running to see if anyone wanted to buy it would be a nice, low risk option. By improbably good fortune, lots of wonderful people did. The boys are in school now, and have a sister. They’re still not busking. Benjohn is @benjohnbarnes on Twitter. Matt Gibson has been programming since he first got his hands on a ZX81. He graduated from Warwick’s Computer Science course in the same year as Benjohn. He’s now a freelance programmer, and created the Android version of Get Running in partnership with Splendid Things. Matt is @gothick on Twitter, for reasons that are too complicated to explain. 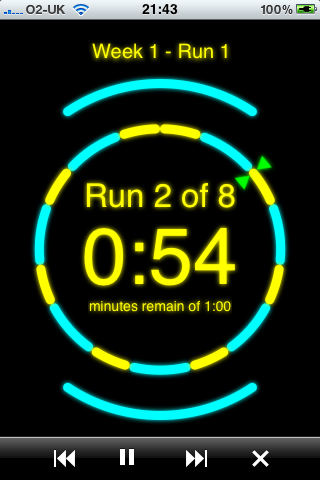 Get Running is brought to you by Splendid Things, purveyors of fine mobile apps. Benjohn is ringmaster of Splendid Things and the creator of Get Running. Follow Get Running for news, support, advice and encouragement. Matt is the Android and web developer for Get Running. He tweets about geeky things, photography, and Bristol.